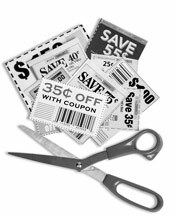 In popular drives like couponing, money-back guarantees, discounts or point collecting, a business can make a loss if the response is bigger than anticipated. EMIRAT insures the financial risks to make these kinds of sales promotion calculable and transparent. This enables firms to stage their marketing drives and campaigns efficiently. Other than in conventional lotteries, which always produce a winner, EMIRAT’s ideas for prize-winning contests are based on probabilities – whether anybody actually wins depends solely on the participants’ skill or luck. It is often difficult for a company to assess the response to campaigns offering vouchers, bonuses, freebies, coupons and discounts. EMIRAT specialises in providing coverage for this kind of promotion, professionally analysing the response to be anticipated. If the quota calculated is exceeded, EMIRAT assumes the extra costs. Coverage can be provided for the entire campaign right from the first response. If the client so wishes, EMIRAT also handles and clears the customer responses. So in a word: Redemption Coverage means that promotions attracting wide attention can be realised on a fixed marketing budget – without taking any risks.